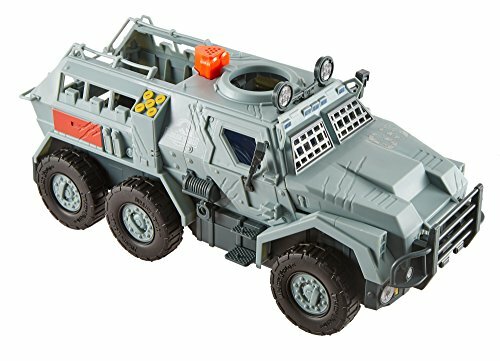 This year’s top toys for boys age 6 to 8 includes everything from superheroes and robots to gross games and science kits. 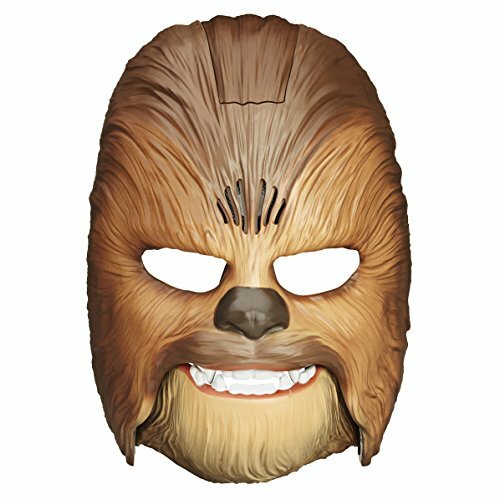 If you’re looking for the hottest toys for boys for birthday gifts or any occasion, you’ll find something here to make the 6, 7 or 8-year-old boy in your life do a happy dance. Just an FYI that many of these toys are gender neutral, meaning both boys and girls would like them. We separate our lists simply to make it easier for toy shoppers to find the right toys for the kids on their lists. UPDATE: ==> Shop the 2019 Toy of The Year Finalists on Amazon! Take a look at some of our favorite toys for boys below. 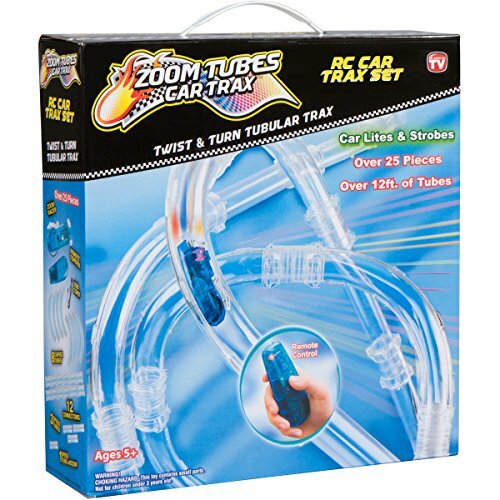 The Zoom Tubes is a new toy, but the others are popular favorites that 6 year-old, 7-year-old, and 8-year-old boys still love. Then scroll on down to view the very latest top toys for boys! This thing is way cool! 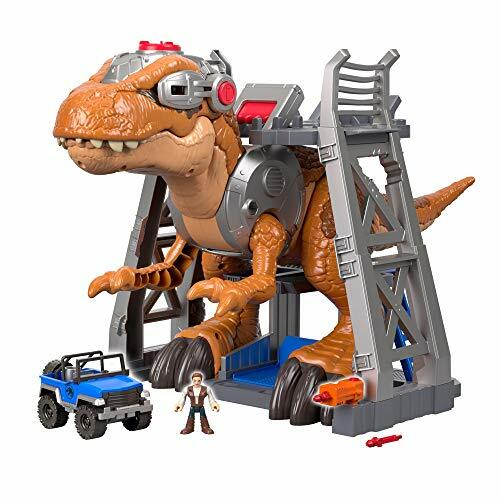 The Imaginext Walking Indoraptor stomps forward at 2 speeds – either a dino-stroll or high-speed chase. It even syncs with the ATV and chases after it, roaring ferociously the whole way, of course! 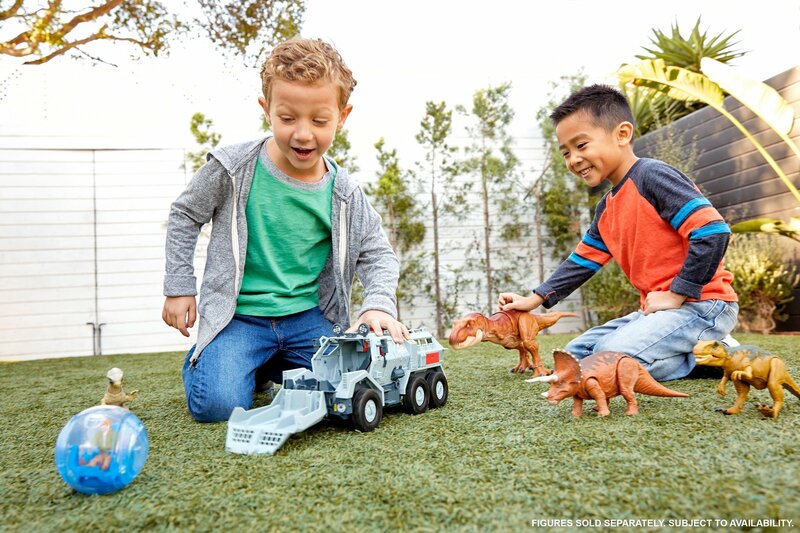 Boys love imagining their own dinosaur adventures and acting them out and this toy lets them do that in a BIG way. 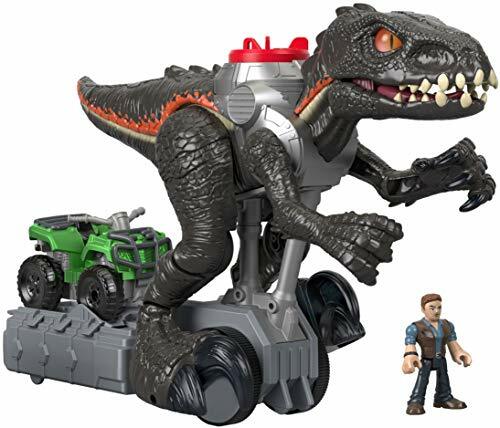 It comes with the Indoraptor, ATV and Owen figure, so kids can come up with all kinds of exciting story lines to play out. 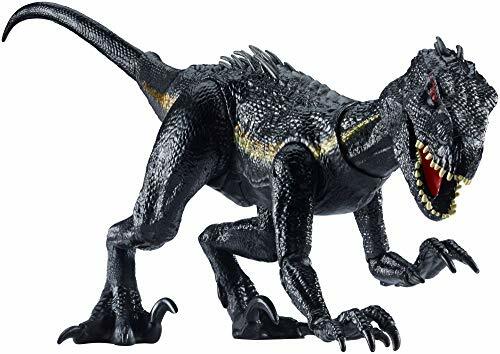 Here’s a few more new Jurassic World toys that are on several Hot Toys for Boys lists this year. LEGO combines building, Batman, and Bluetooth and created a LEGO Batmobile building kit that really works! 8-year-old boys love building things that really work and that they can continue to play with long after the fun of building it is done. LEGO really delivers with this Batmobile. Once it’s built, kids use an app to make it drive, turn, do wheelies, and all sorts of other things. 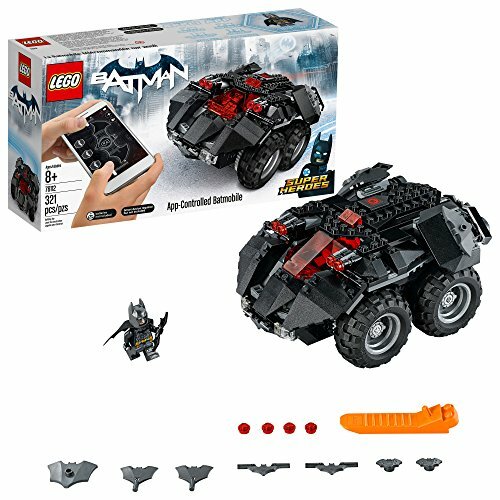 It also comes with a Batman minifigure to drive it. 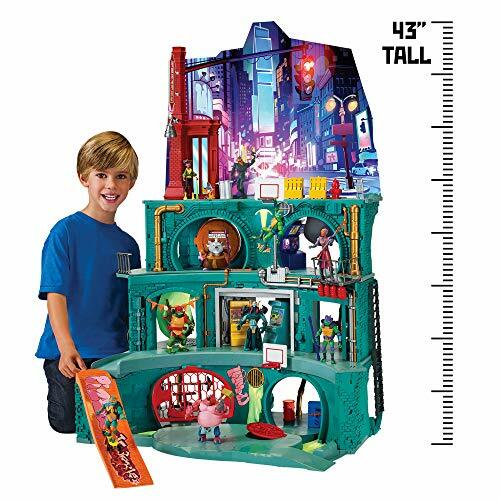 This is a great toy for boys who love to build things and who enjoy DC Super Heroes. 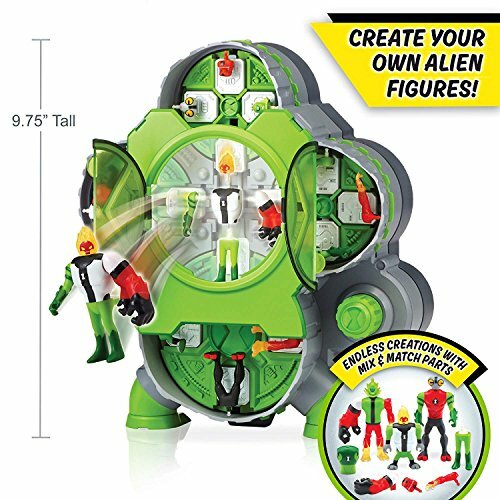 Boys who like the animated series, Ben 10, can create their own renditions of alien creatures from the show with the Ben 10 Alien Creation Chamber. 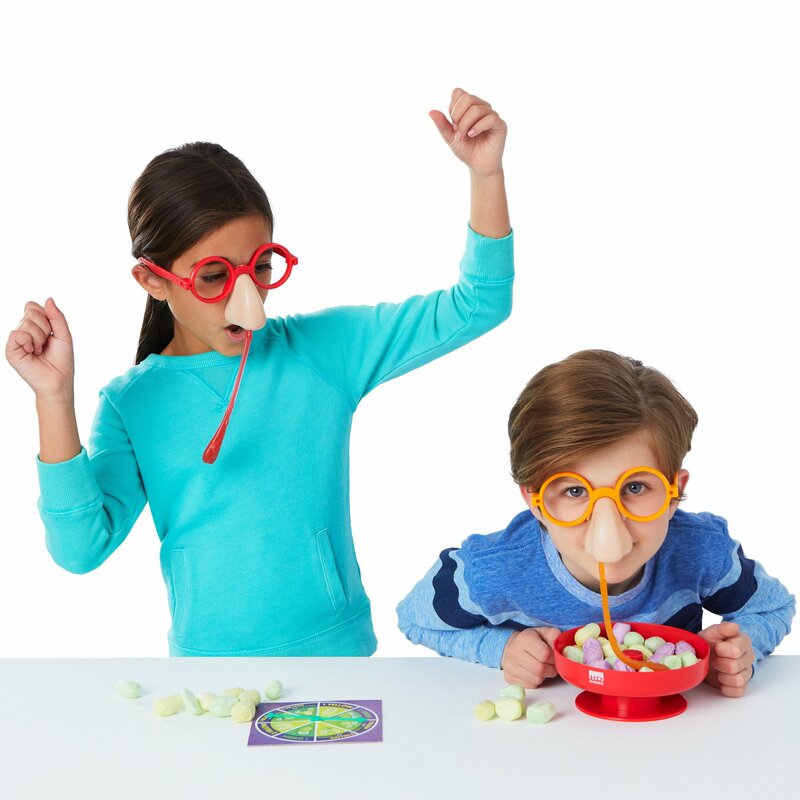 The set comes with 4 creatures – each with 5 different parts – so kids mix and match the parts in the chamber and VOILA, 4 unique alien creatures are born! 6 and 7-year-old-boys love mixing and matching body parts (remember when your brother would put a dinosaur head on your Barbie doll?) and that’s one of the appeals of this toy. Plus, boys get to use their imaginations and create a back story for each of their new creations. What’s nice is you can buy more alien parts to add to the set for endless alien options! The price for the add-ons is pretty cheap too. This one and this one are popular. Robots are top toys for boys age 6 to 8 because toys that are interactive and offer lots of different ways to play with them, keep boys entertained. The brand new Boxer A.I. Robot by Spin Master is FULL of personality and fun. He plays games, does tricks, responds to movements and has the cutest voice you ever heard on a robot. He’s easy to use right out of the box, but he’s the most fun when he goes rogue with all his quirky antics! 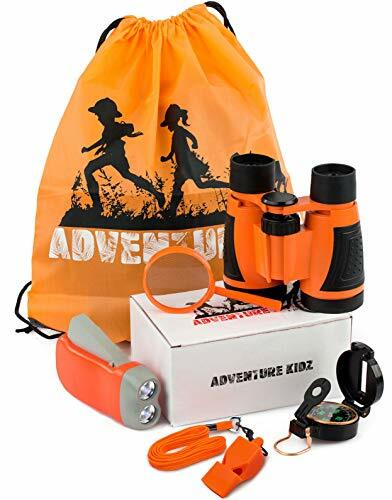 Boys will love this little sidekick to play with on their own or with their friends. Boys love their superheros and what better way to encourage them to act out imaginary adventures for their superheros than with a giant playset and figures to go with it? What’s great about these big sets is that there’s plenty of room for siblings or friends to play together without bumping elbows. 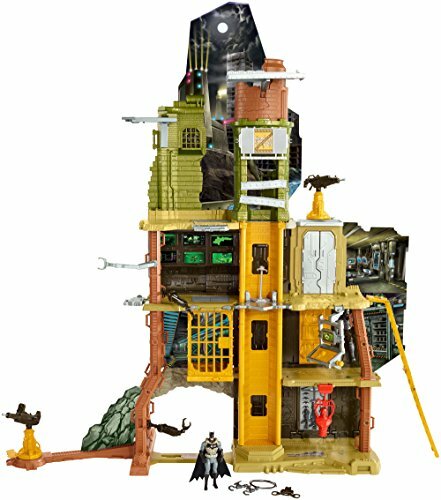 Two new playsets just released this year are the Rise of the Teenage Mutant Turtles Epic Lair and Justice League Ultimate Justice Battleground. Both of these are over 4 feet tall with loads of fun features for boys to act out epic battles with their favorite superheros! 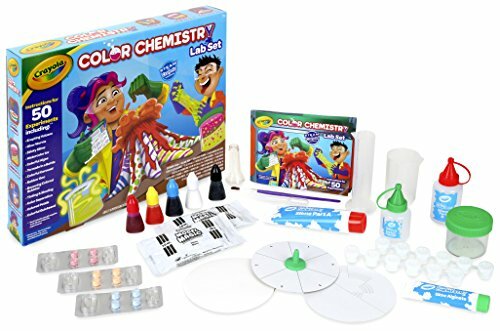 One of the new top toys for 7 and 8 year old boys this year is the Crayola Color Chemistry Set. Boys love seeing cool reactions and effects, like lava spilling out of a volcano they made themselves or bouncing colored bubbles. 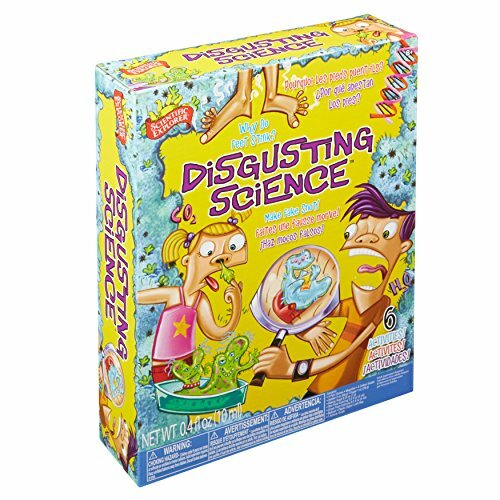 There are over 50 experiments in the kit and many of them actually create things that can be played with later, like slime. Kids can repeat the experiments over and over too, so this little kit is well worth the money! Oh, and this toy is also on our 2019 top toys for girls list too! 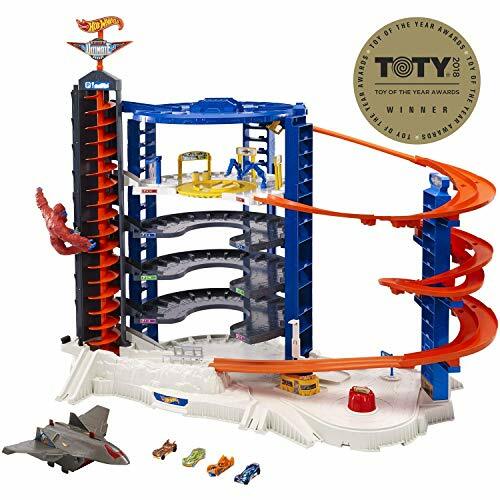 Hot Wheels sets are always among the top toys for boys and this year one of the hottest toys for boys is their brand new Corkscrew Crash Track set. Boys love sending their cars whizzing through the loops and watching them crash! Plus, there’s the challenge of figuring out which routes and launching techniques DON’T result in crashes. 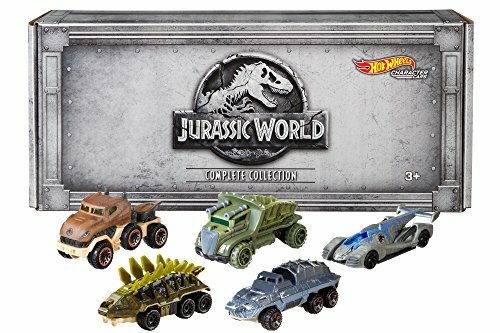 This set connects to most other Hot Wheels sets so boys can build an epic highway system if they’ve got the floor space! 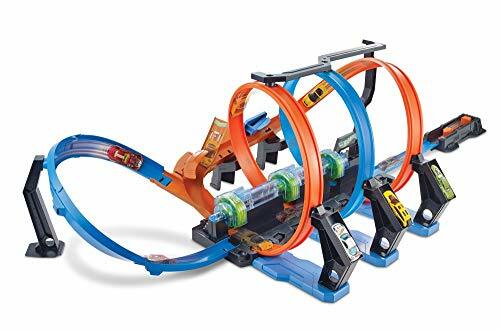 Related: Review of the Hot Wheels Track Builder Stunt Kit set – is it worth the money? Boys love all things gross and 2018 was a record year for gross toy releases. Particularly, gross games. 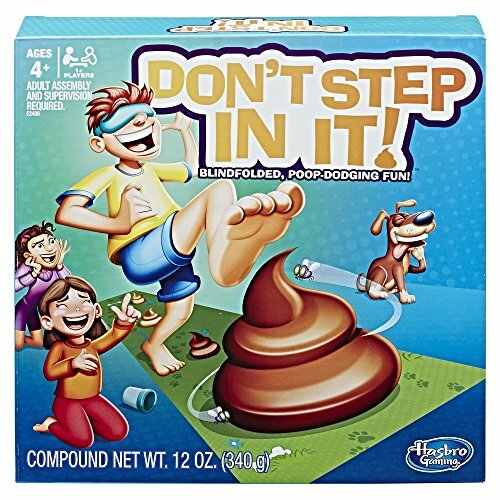 My personal favorite is Don’t Step In It, where kids have to avoid little clay piles of poo while blindfolded. We have the perfect game board for that in our backyard (Hashtag: 5dogs). But below are a few other brand-new gross games that are on several current hot toy lists. 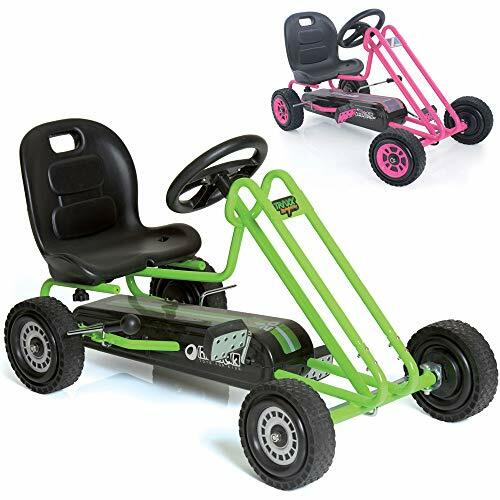 Get your boys outside with the Hauck Lightning Go Kart! This thing is completely pedal-powered, so they’ll get some exercise while feeling like race car drivers! The seat is adjustable to the child’s height and the high back makes it super comfortable. This little Go Kart is getting great reviews from parents and will be the hit of the neighborhood! 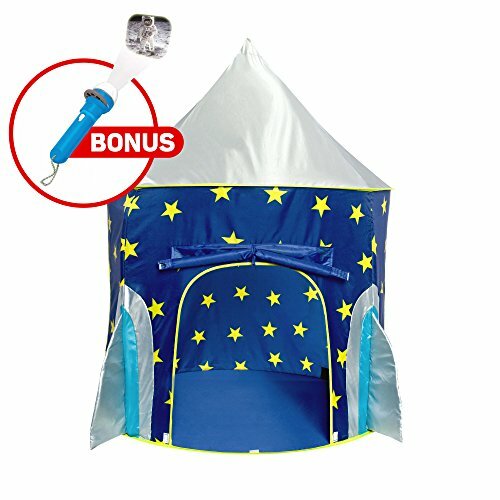 Related: Best Outdoor Toys for Kids! 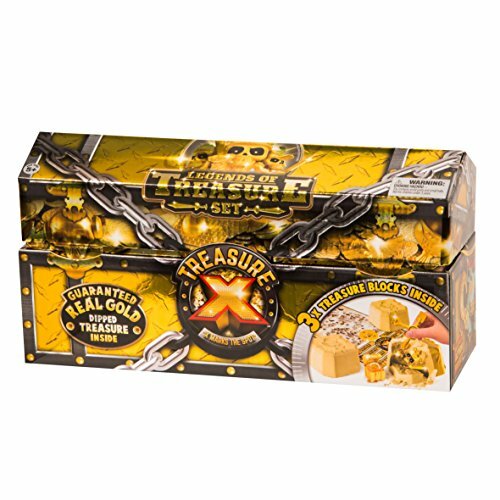 These little Treasure X toys are super popular toys for 6, 7, and 8-year-old boys. What’s not to love about discovering buried treasure? If you haven’t seen them, they’re like little blocks of dirt that come with an excavation tool for kids to dig for their treasure. Boys love the fun of excavating the “bones” of an expired treasure hunter and discovering the treasure left behind. The Treasure X Legends of Treasure set comes with 3 treasure blocks, plus a map, decoder tool, and some other goodies. My nephew is working on collecting all the treasure hunters and even likes to make his own treasure maps and hide the characters for his friends to discover. Crate Creatures are the latest craze in weird electronic pets. They come inside a crate and kids have to pull the creature’s tongue to release him. Instead of a snuggly dog or cuddly kitten, kids get a grumbly, angry creature that snorts and farts. Which is why boys love these! 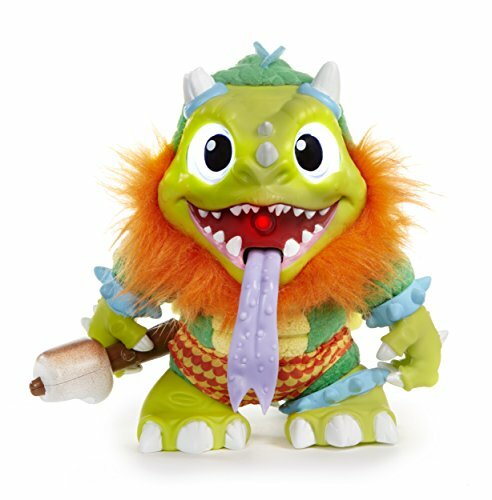 The funnest thing about these is kids can record a message and the Crate Creature will repeat it in his monstery-y little voice. It makes for some fun pranks on the family! There are a few different creatures to choose from and they are all interactive and have over 45 different sounds and reactions. 6-year-old boys love this little guy! Instructions for 70+ challenges plus kids can make up their own spells too! 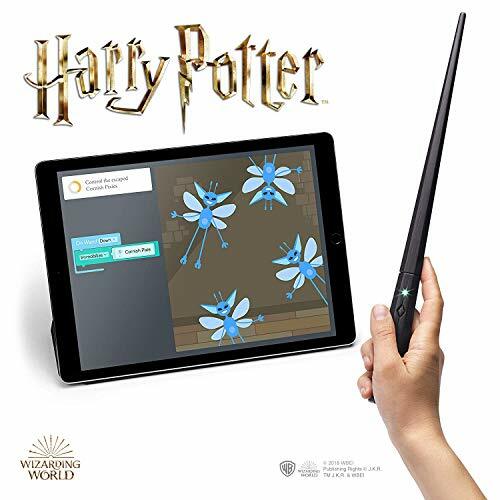 Harry Potter fans or budding magicians will love the technical challenge and imaginative experience of this cool toy. It’s new on the market, but so far parents and kids are loving it! 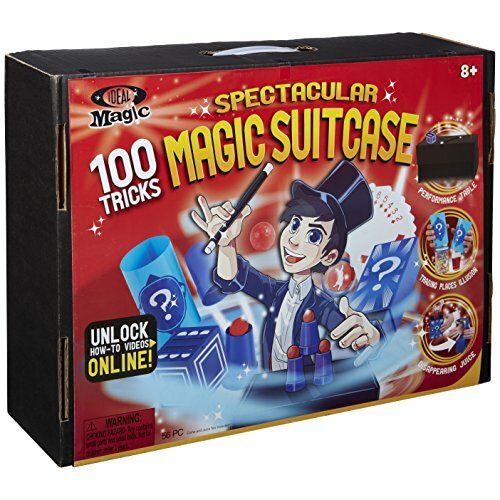 If the 6, 7, or 8-year-old boy on your list is a magic lover, check out these two top toys for boys and girls. They’re not new, but both of these magic sets are still getting great reviews! 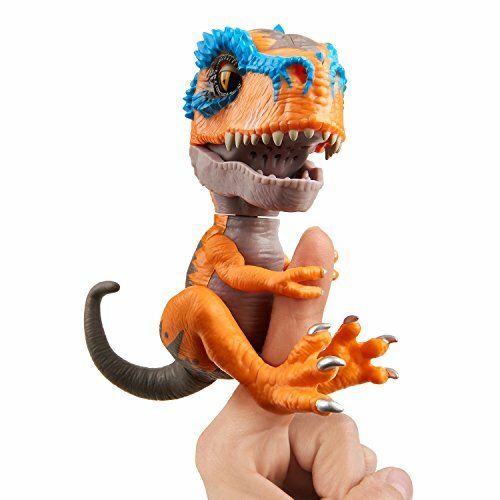 Fingerlings have finally moved past the sparkly monkeys and cute unicorns and just released their Untamed T-Rex. The one pictured is Scratch, but you’ll see in the link that there are seven more to choose from. Like the monkeys, these are interactive little creatures with more boy-appeal than their predecessors. There is even an app where boys can let their T-Rex’s do battle! These little guys will chomp, growl and fart their way into the heart of the 6 to 8 year-old-boy on your gift list. Related: Latest 2018 and 2019 Electronic Pets for Kids! Deal Alert ==> Check out all the toys on sale today! 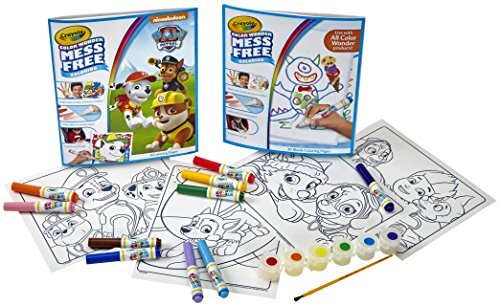 I first read about the smART Sketcher on The Toy Insider’s 2018 top Christmas toys list and I had to include it here because it’s a really cool way to help budding sketch artists learn to draw. Sometimes kids get easily discouraged when they think they don’t have artistic talent. 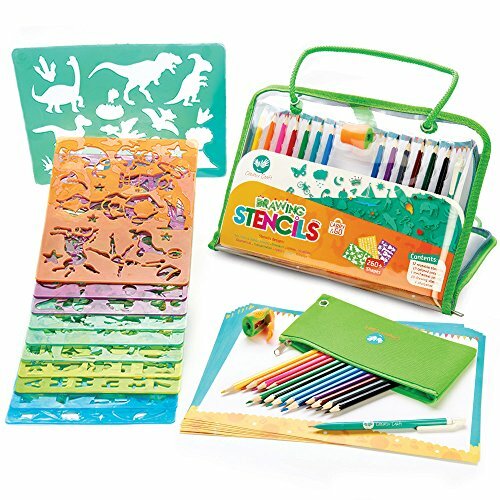 But this little tool teaches them, line by line and shape by shape, how to draw an image beautifully. 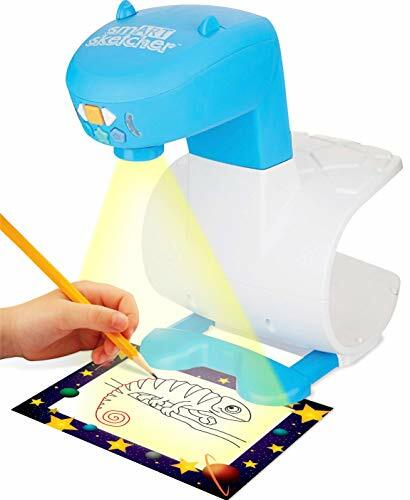 It works with an app and comes with some pre-loaded images on an SD card, but kids have the most fun taking their own pictures, then recreating them by sketching them with their own hands. 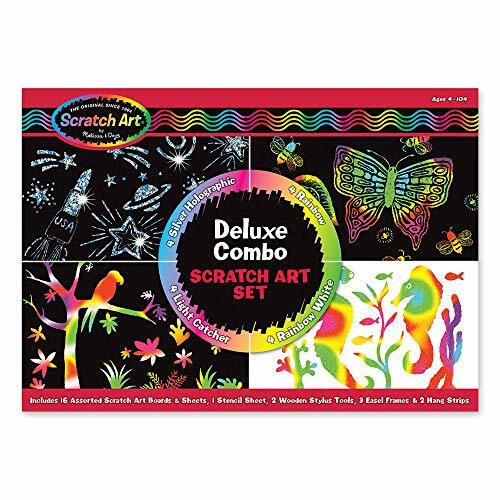 Below are two more top gifts for boys that will encourage creativity in the 6, 7 or 8-year-old boy in your life. Mystery toys that hatch out of eggs are all the rage right now! 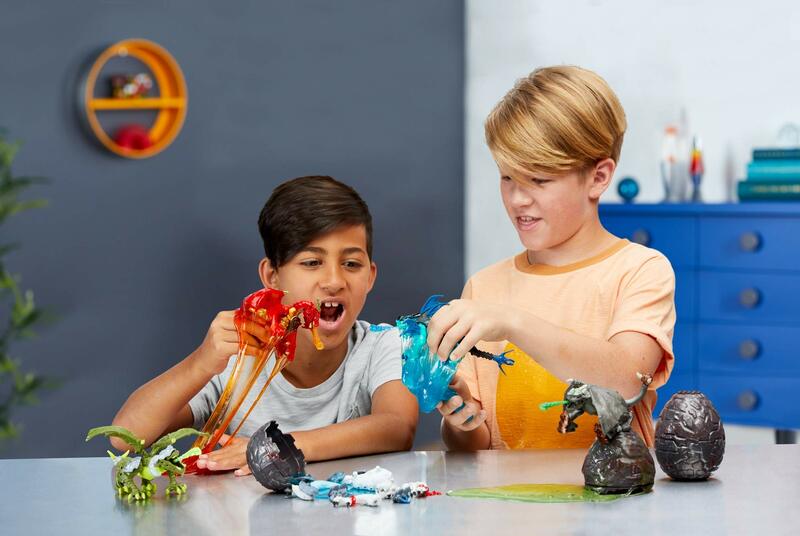 Boys love the Mega Construx Breakout Beasts because they combine all of their favorite things in one package: monsters, slime and building things. 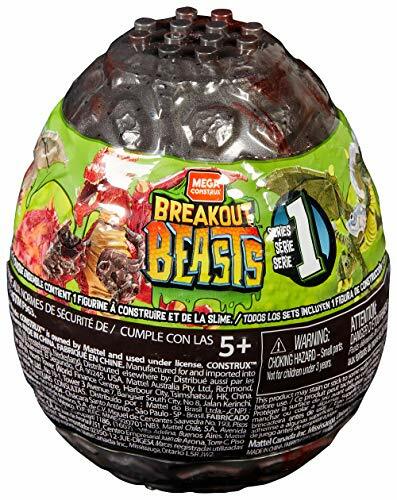 The whole fun of this top toy for boys is the experience of opening it, discovering which beast they got, pulling off all the slime, posing their beast…then anxiously waiting for when they can buy another one. There are five to collect in this first wave, so it’s a good thing these are priced right! Who knew something so small can teach kids how to code? 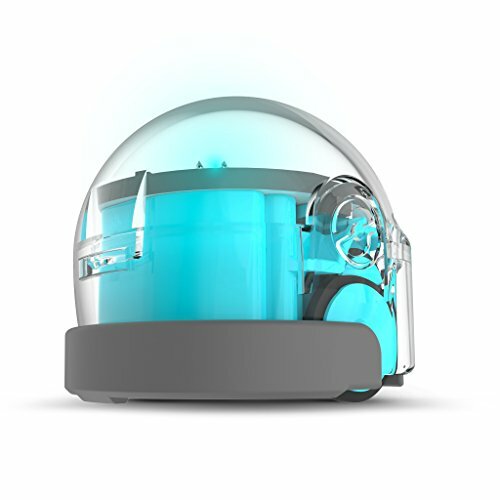 The Ozobot is about the size of a ping-pong ball but teaches the fundamentals of coding to young kids in a way that’s fun and engaging. 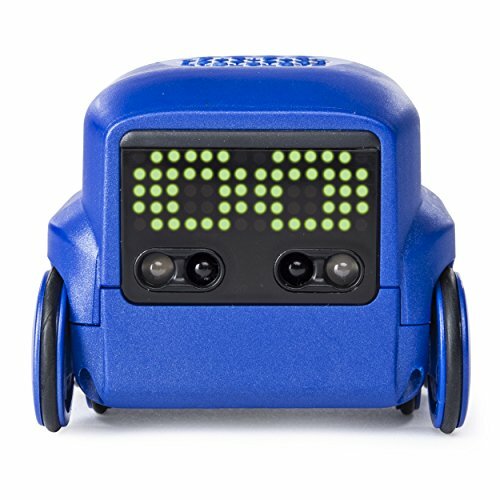 Seriously, parents are amazed at how quickly their kids learn to code from this little toy. 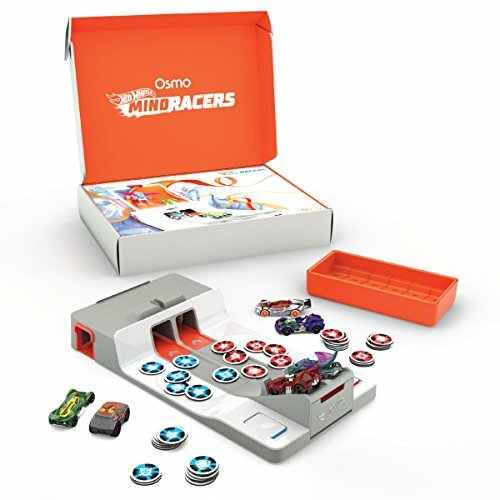 The printable and interactive games, plus the customizing stickers, entice kids to actually play with their little Ozobot Robot, unlike many other robot toys that quickly lose their novelty. This Ozobot comes with instructions, colored pens for coding, stickers, games and everything else kids need to learn coding and have fun with their Ozobot! Boys love superheros, and their favorite superhero action figures are always top toys for boys age 6 to 8. The Marvel Legends Series 12-inch figures are beautifully made, very poseable, and come with cool features, like removable heads and hands so kids can get exactly the look and pose they want from the character. 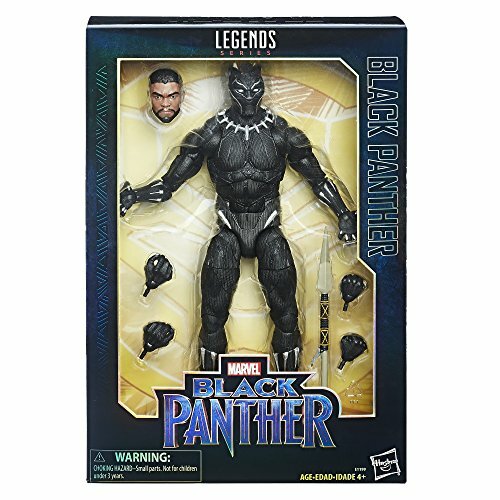 The Black Panther figure pictured here, is the newest addition to the Marvel Legends. There’s also Captain America figure (my personal favorite), Spider-Man, Deadpool, Iron Man, Thor and Wolverine. If you are looking for top toys for a boy age 6 to 8 that loves Hot Wheels – this is the toy that will make you the favorite aunt, uncle or grandparent ever! The Hot Wheels Super Ultimate Garage holds 140 cars! Oh, but it’s not just a parking garage. Kids have to use their racing skills to avoid the car snatching gorilla and pterodactyl. It’s like parking on the dodgy side of town. This Hot Wheels toy won Toy of the Year for 2018, and it’s still a hot toy for boys this year! 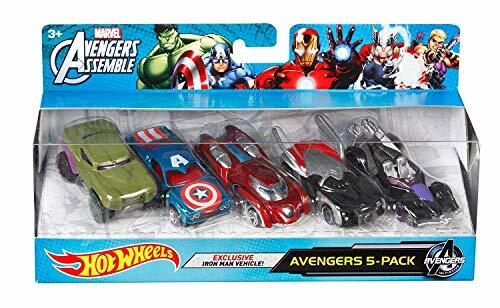 If your little Evil Knievel needs more cars to fill it up, here’s a great deal on a multi-pack of Hot Wheels cars. And I really love these custom themed cars by Hot Wheels, below. What a fun addition to a boy’s Hot Wheels collection! Related: This is the Best Wall-Climbing Car Ever! 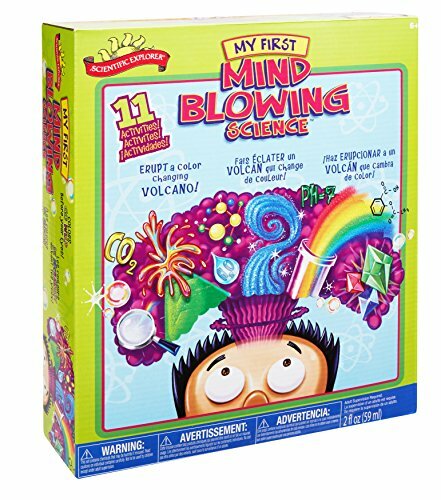 The Mind Blowing Science Kit teaches kids cause and effect with 11 fun experiments. 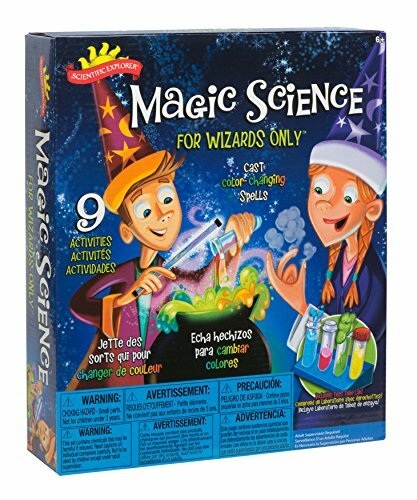 This science kit has been a top toy for boys and girls for a few years now and consistently gets rave reviews! 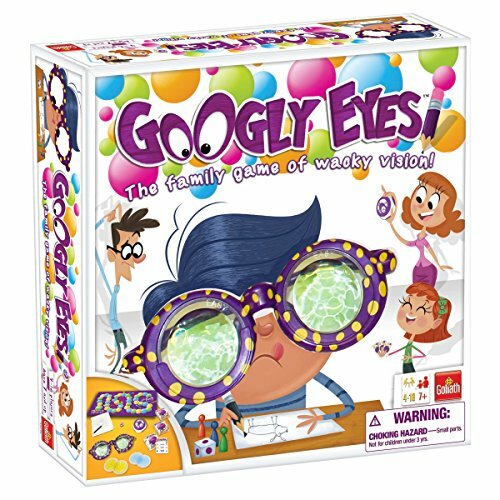 From writing secret messages to making fizzy concoctions, this is a great toy for boys age 6 to 8 to introduce them to scientific concepts (also, the concept of cleaning up the mess in the kitchen afterwards)! 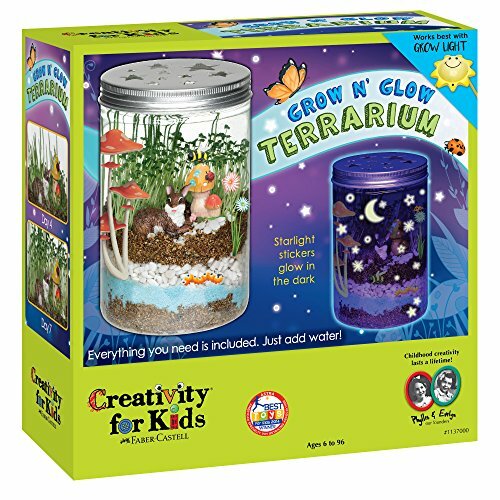 Below are two more highly rated science kits that are popular gifts for the boys in your life! The award-winning Osmo Genius Kit has been on the top Christmas toys for boys (and girls!) list since 2015 and it’s still there because it’s just so darn cool. Kids need to use an ipad for this toy, but it unlocks a slew of creative thinking and problem solving games and activities for them. The skill level can be adjusted from age 6 on up to age 12 so kids will feel challenged for a number of years. This makes it a great toy for girls and boys age 6-8 and beyond. Once you have the base kit, there are all kinds of fun add-on games for it, making it really versatile and never boring. 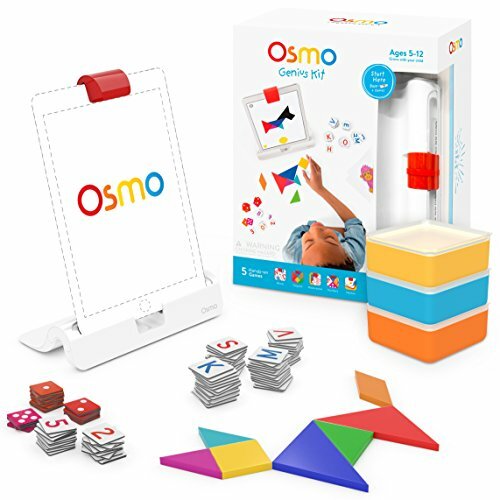 Below are two popular Osmo games. 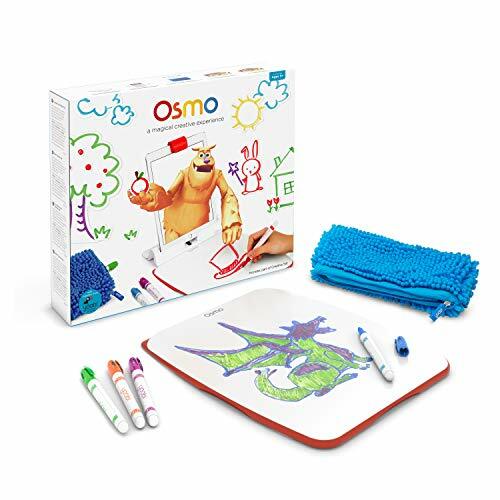 Osmo Monster Game Brings Drawings to Life! UPDATE: You can now get the Osmo Genius Kit for the the Fire Tablet! No one can say there isn’t enough variety when it comes to the top toys for boys. From Genius Kits to gross toy flingers, every aspect of a boy’s interests are covered! 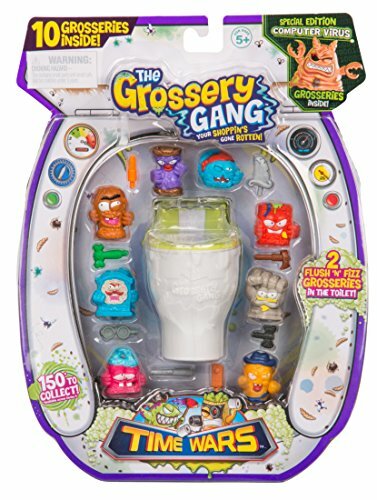 Grossery Gang toys are super popular, especially with boys. 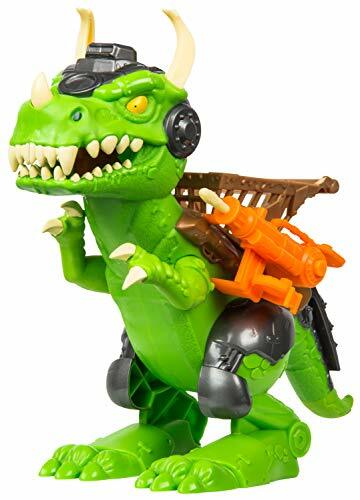 Their latest addition is the Chomp ‘n’ Chew Trash-O-Saur, which is basically a dinosaur that flings the gross little toys from his horns, poops them from his behind, and launches Grot rockets. Don’t get any of that? Doesn’t matter. 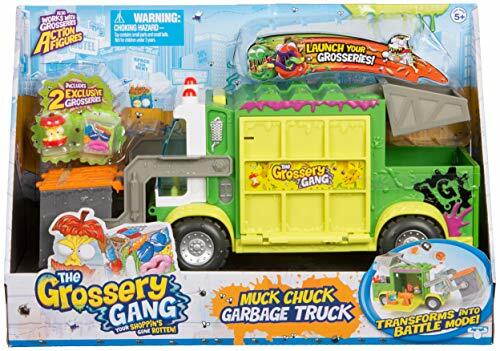 Because if the 6-year-old boy in your life likes Grossery Gang toys, he’s going to love this thing! Here’s a couple more popular Grossery Gang toys to check out for that gross toy fan on your list! 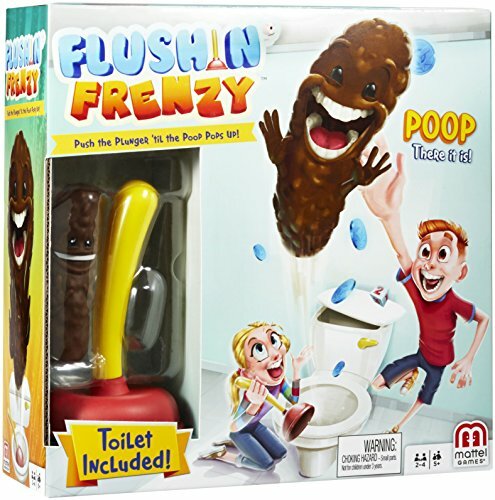 Related: Strange Kid’s Toys that are Actually Popular! This year’s theme in games is the messier and grosser, the better. 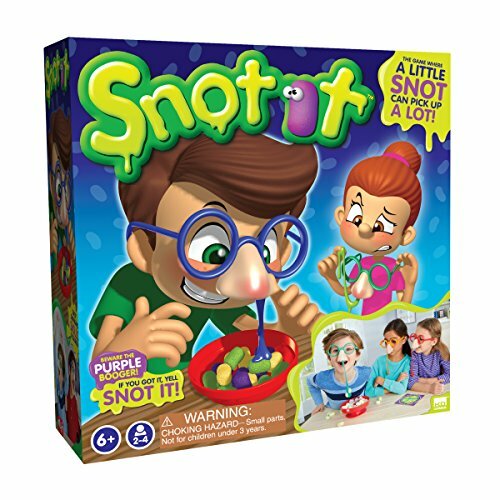 Which is why this next game is on our top toys for boys age 6 to 8 list, because well…messy and gross appeals to that demographic like no other. 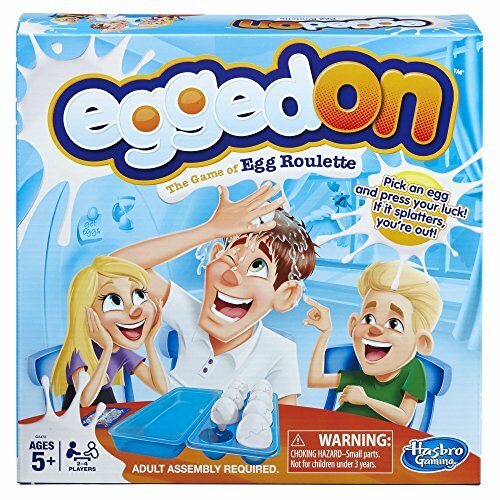 The Egged On Game is like Russian Roulette with eggs (don’t worry, they’re pretend and filled with water). 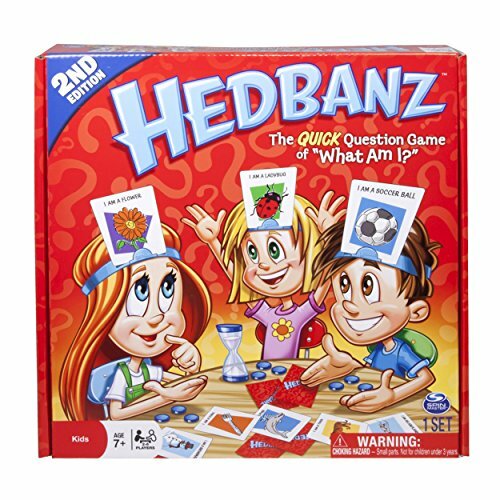 This is a fun game for adults to get silly with the kids on family game night. The Egged On Game was super popular last year, but it got such good reviews, we’re keeping it on our best toys for boys list this year too! 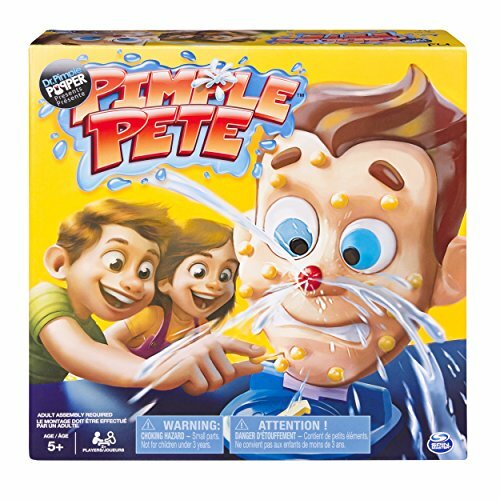 Below are two more fun games for boys age 6 to 8 that are still very popular! 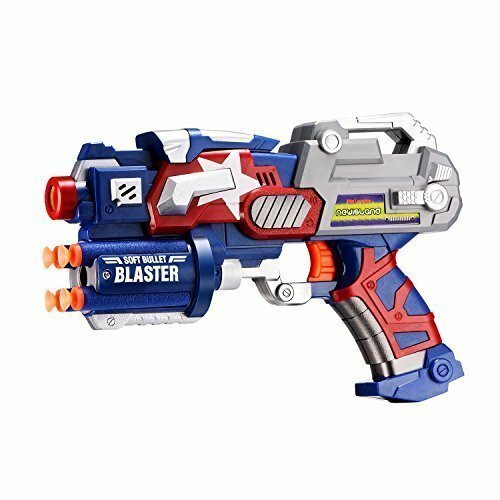 Nerf teamed up with Marvel and came out with Nerf shooters specially made for the Avengers heroes. 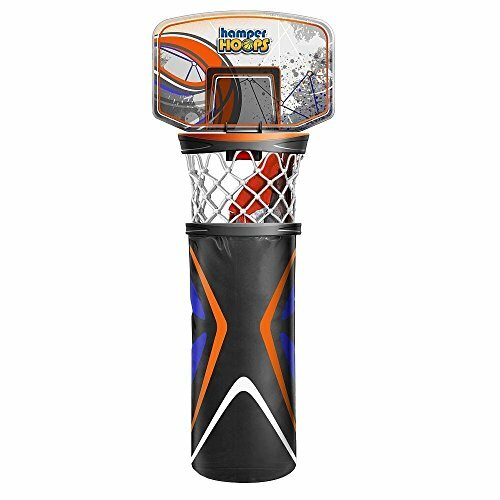 These things are cool because kids can assemble them in a variety of ways and rotate their arm to shoot from three different places. Boys love Nerf battles, and these shooters add the fun of superhero role playing along with the fun of the battle. Aside from the Nerf Iron Man Gear, there is also Hulk Assembler Gear, Captain America, and a few others. 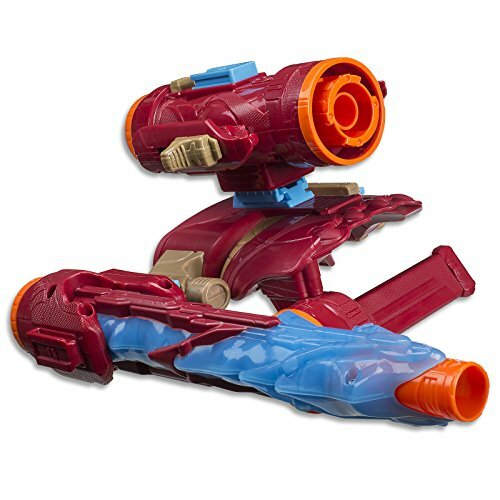 These are fun Nerf toys for families with siblings because kids can Nerf battle superhero style, and the parts from each Assembler Gear are interchangeable with one another, for lots of variety! 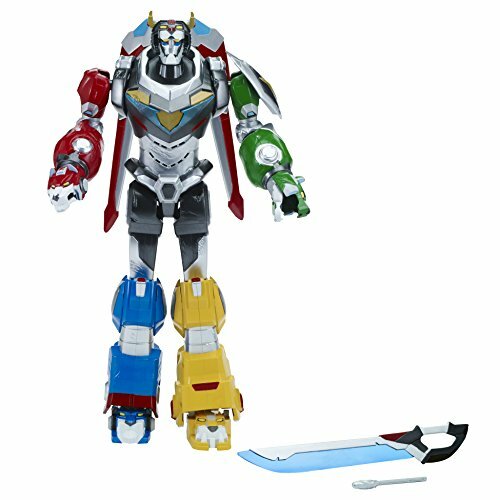 The Ultimate Voltron was on several top toys for boys lists at Christmas last year. It’s from a popular television series about a robot built to defend the universe from evil. Since the show is very popular with boys age 6 to 8 and the toy got such great reveiws, we are keeping it on our top toys for boys for 2019 list. Voltron lights up and says cool things like, “You brought the sonic BOOM on him!” I’m pretty sure that’s followed by a mic drop. But the best part is that his hands shoot out little missles! At 14 inches tall and with lots of articulation, it’s a fun toy with lots of play value for kids, even if they don’t watch the show. 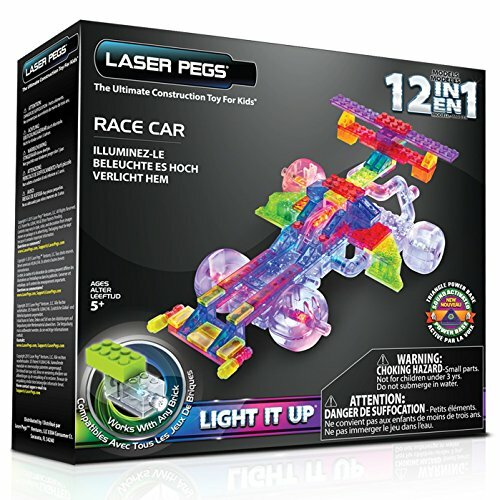 The 2018 award-winnig LEGO Boost Creative Toolbox toy shows kids how to build robots with actual motion sensors, motors, lights and other neat features. It includes plans and instructions for 5 different types of robots, so there’s lots of variety and challenge. 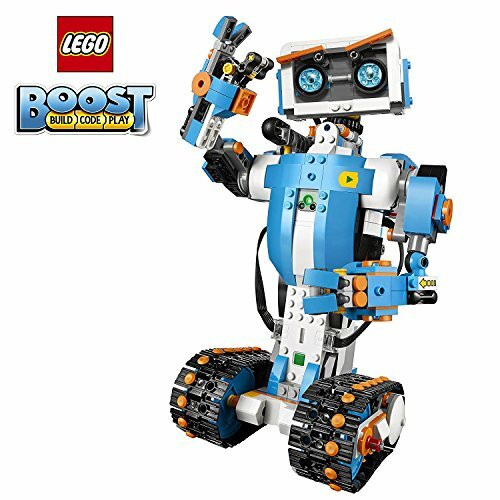 Kids will need access to a tablet to build and play with the LEGO Boost toy, but it is compatible with Android, Apple and Kindle Fire. 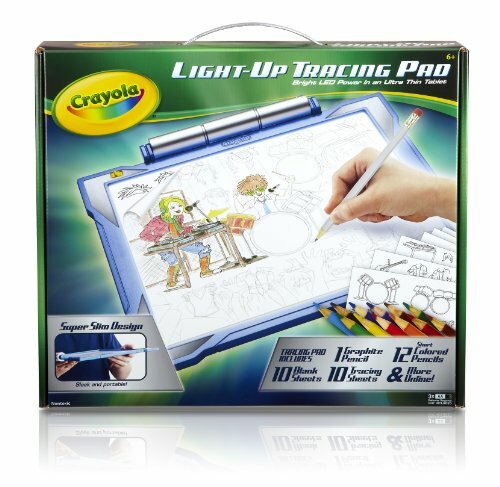 Boys who love to tinker and watch their creations come to life will love this thing. It also makes for some great parent/child time because mom and dad will be just as fascinated by it as their kid is. In recent years, Smartwatches are one of the top toys for boys age 6-8. They’re a way for kids to always have some entertainment with them, which is great when they have to tag along on boring errands or when traveling. 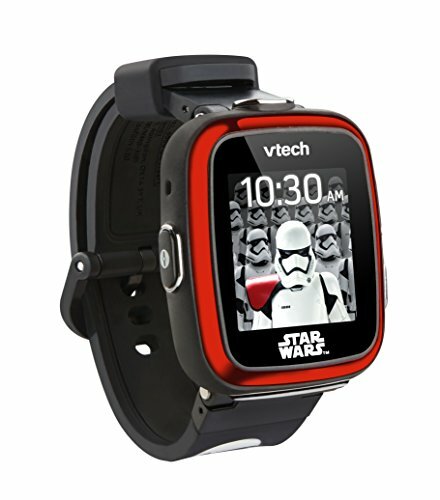 The Star Wars Stormtrooper Smartwatch adds the fun element of voice-changing effects so Star Wars fans can feel like they’re part of the Star Wars galaxy. Plus, there’s even light saber sound effects! Kids can also take pictures and videos with cool filters and play all kinds of games on it. If you’re thinking about a Smartwatch as a gift, you should definitely check this one out. It has a nearly perfect rating and for all it can do, it’s a great price! The HEXBUG Space Cosmic Command set is huge, with lots of different ways to configure it. Girls and boys age 6-8 with an interest in space exploration will love building and playing with this. 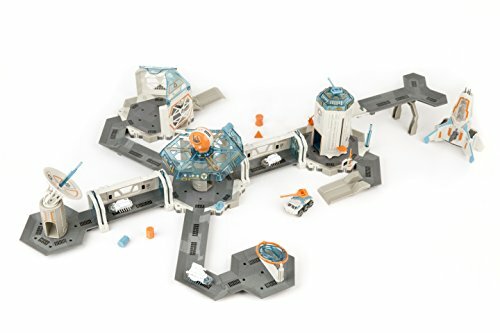 This set is compatible with other HEXBUG nano sets too, like the HEXBUG nano Space Discovery Station. Not familiar with HEXBUGs? They’re cool little bug-like robots! Here’s a good deal on a whole package of them to add to this set. 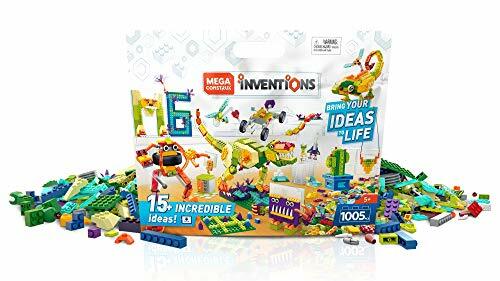 If the boy on your gift list is a builder, he’ll love the Inventions Deluxe Pack by Mega Construx. If you’re not familiar with this toy line, they are similar to LEGOs but a little less expensive and a little more conducive to free-form building. 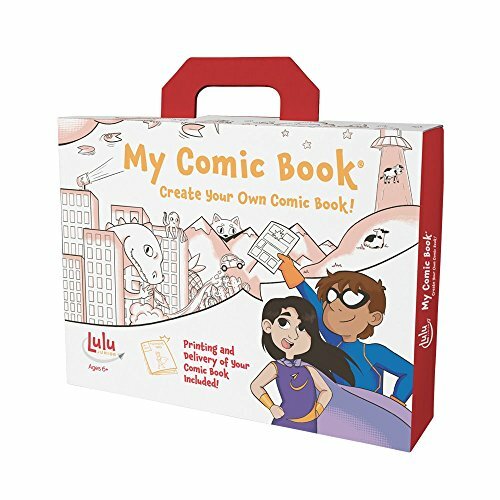 Which is great for parents’ pocketbooks and boys’ imaginations. 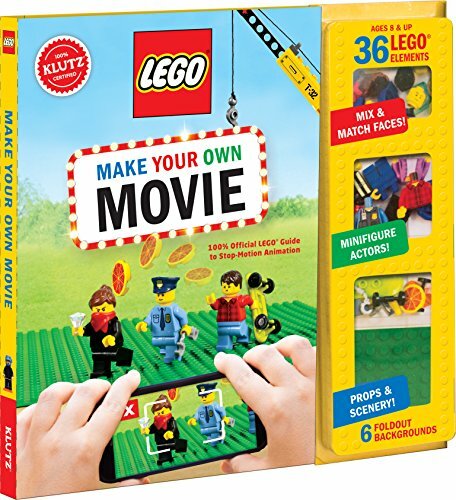 The set comes with some ideas of things to build, but for more inspiration, there’s an app available for tablets. Boys do love their LEGOs though! 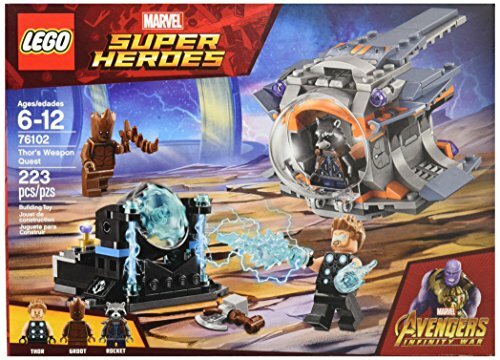 Especially sets that capture their favorite superhero movie scenes, like Thor’s Weapon Quest set from the Avenger’s Infinity War film. The whole fun of LEGO sets is not only building them, but playing with them afterwards. 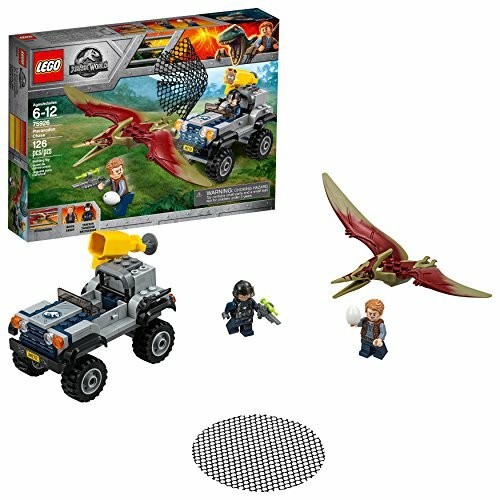 LEGO fans love collecting the mini-figures and interchanging them in other sets too. This one is a less complicated build (only 223 pieces), so boys can get right to playing. 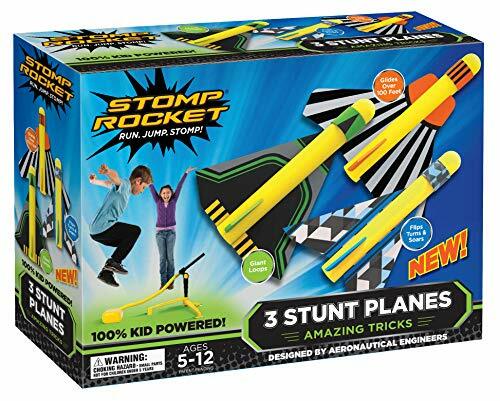 Not only is this set a top toy for boys, it’s priced right too! 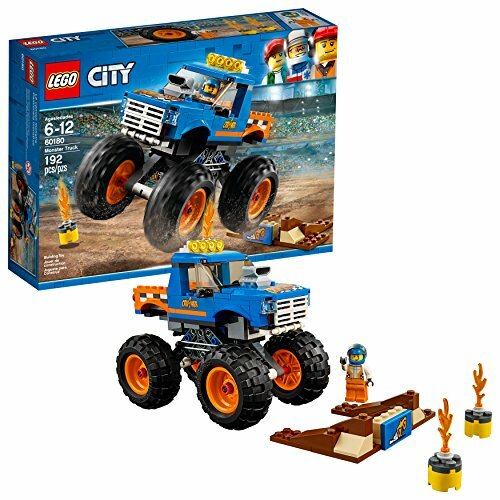 Below are two more top-selling LEGO sets in a similar price range, that boys age 6 to 8 are loving. Check it out! 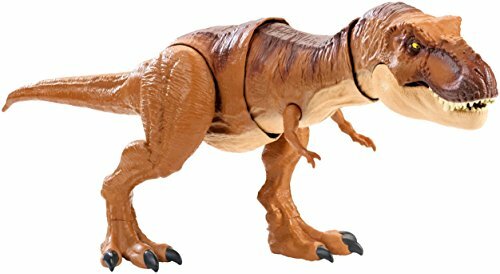 ==> Here’s all the best selling toys on Amazon right now! I hope our list of the top toys for boys age 6 to 8 helps you to find the perfect gift for the young boy in your life. What boy wouldn’t want to unwrap one of the hottest toys for boys! Shopping for kids of other ages too? 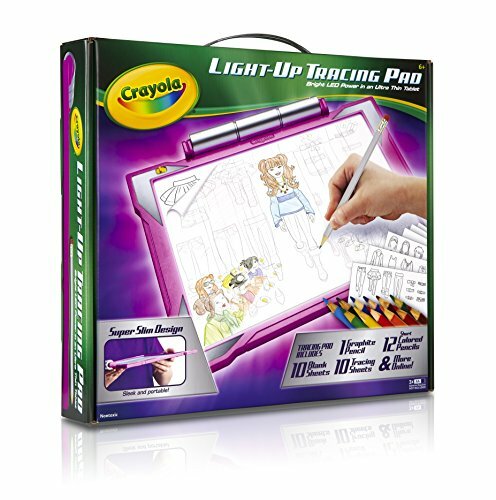 Check out our Best Toys for Preschool Girls and Best Toys for Preschool Boys guides.